You may have already seen the picture of my current eye makeup routine on my Instagram or Facebook page. As promised, here is the story post decoding the process and how I go about it on an everyday basis. I have also listed all the products in the picture towards the end of the post. These days I am experimenting with a lot with my eye makeup, especially eye shadows – will definitely post some more tips once I have tried and tested them fully. I generally tend to start my routine by applying an eye primer on the lids to help get them ready for the eye shadow. Primer, as you may or may not know, makes your eye shadow stay for longer. The M.A.C. pot I use is one my favourites as it also brings out the colour of the shadow and makes it pop a lot more. Next step obviously is to use a good quality eye shadow for application across the eye contours. If you are a novice and can’t do the two shades look, try to use a lighter, nudish shade on the eye during the day rather than a darker one. Most of the times, lighter shades are much more easy and forgiving than the highly pigmented ones. Then comes the eyeliner, followed by the mascara. Make sure you use a dark eyeliner in shades like midnight blue or black for office. You can use either a thin line or a thick one depending on how comfortable you are with wearing makeup. And please don’t forget mascara on both the lower and the top eyelashes since the dual stroke widens our eyes and makes them stand out! 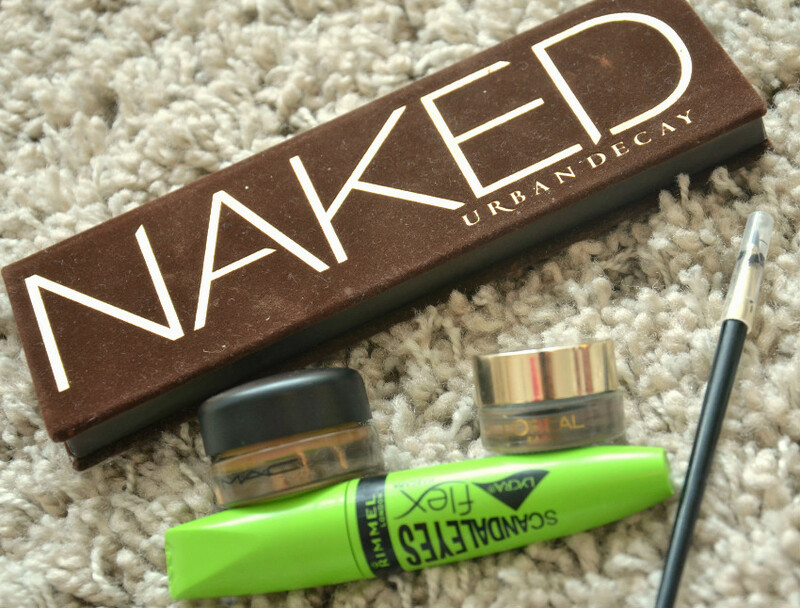 Here is the list of products I am using these days for my daily Eye Makeup Routine. Any questions? Simply comment below and I will make sure I respond to them personally as soon as possible. Hi, eye shadow is not always mandatory you can always use a eyeliner or kohl pencil to enhance eyes and go without eye shadow for a more casual look, I promise to a do a face of the day look without any eye shadow soon!